Paul Hecth won a Tony in 1968 for his role in Rosencarantz and Gilderstern Are Dead. He has extensive Broadway and TV credits. 06/23/1975 0296 The Mills of the Gods An American tourist becomes enamored of a Parisian while traveling through Europe. What she doesn't know is that the Frenchman is a wanted serial killer, and that the whole police task force are determined to capture him before he can strike again. 01/14/1976 0416 The Elixer of Death Seeking refuge from the noise of the city, a doctor moves to the country for a quieter life. His new-found peace is shattered when he discovers that the lynch pin that holds the village's economy together is a strange drink-- a drink whose ingredients could prove fatal. 06/09/1977 0662 Dialogue with Death A man is reunited with a childhood love and wants to marry her. He has difficulty dealing with her one peculiarity: she regularly talks to her dead parents and her dead horse. 08/27/1979 1007 A Cup of Bitter Chocolate In this battle of wits, a loyal butler pits himself against a good-for-nothing son whose primary goal is to murder his mother in order to claim his inheritance. The doting mother remains unaware of her son's misdeeds and only her butler's protection stands between her and certain death. 12/03/1979 1035 The Specter Bridegroom The spirit of a bridegroom pays regular visits to his widowed bride after he perishes on their wedding night. 04/27/1981 1190 Big Momma After finally obtaining celebrity status when his book is published, a young city planner discovers that it was all part of a bribe from his years as a city planner when he allowed the construction of a factory in his city. 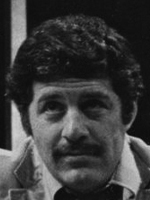 London born Paul Hecht is on of the top actors from Mystery Theater having performed in 140 episodes. Hecht whose very active career includes Kate and Allie, frequent guest shots on Law & Order, Law & Order: Special Victims Unit, As the World Turns, Starsky and Hutch, Remington Steele, Miami Vice, and Queer as Folk. Hecht is 73 today this year. Paul Hecht, I really have loved hearing your acting voice in Mystery Theater for years and years, I love when you are featured as an actor in the episodes. You have a fantastic voice for radio, and I am sure on TV as well. Mr Hecht, can you please post here your favorite episodes, and some of your memories of acting with this ensemble of Radio Actors and the great Himan Brown? And what are your memories of EG Marshall? Thank you so much for sharing your beautiful voice with the world on Mystery Theater. You showed the world what great voice acting is. Paul Hecht is a great actor! He was gifted with a beautiful voice that conveys so much emotion in his radio work. Mr. Hecht is one of those actors you don't easily forget. I don't feel he's gotten the recognition he has deserved throughout his career however he has always worked and he's been a mainstay on television and in the theater for decades. I had the privilege to see him on and off Broadway several times throughout my life. I'm so lucky to have not only had the opportunity to see him in productions but also to have shaken his hand! Just as expected, he was SO gracious. Thank you Mr. Hecht for years of wonderful performances! BRAVO! The Church of Hell is my favorite. Paul Hecht is my all time favorite actor. i love him.